Kununurra Country Club Resort - a sanctuary in the centre of Kununurra. The ideal base for exploring the extraordinary East Kimberley. A short walk to shops, galleries, the post office and Visitor Centre. The 4-star Resort features modern rooms set amid lush tropical gardens - the perfect retreat after a long day exploring. Kununurra and the East Kimberley region offer some of Australia's most unique and majestic nature-based attractions. Prestigious natural landscapes combine to form an unforgettable destination of sheer splendour. Kununurra Country Club is your perfect base from which to access this remarkable and untouched destination. The Resort features newly refurbished King, Queen, Club, Twin and Triple Rooms. 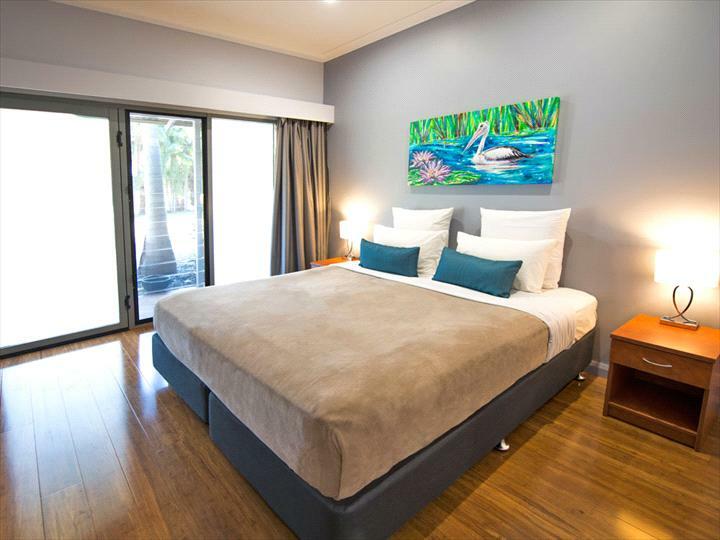 All are airconditioned and include all modern comforts with the additional benefits of complimentary NBN WiFi, television and Foxtel. Cool off in our swimming pool or poolside. enjoy an ice-cold beer or cocktail at one of our onsite bars. Indulge your tastebuds at our restaurant Kelly's Bar and Grill - the perfect escape experience. Conference and meeting facilities are available for up to 120 people. Winner of the Western Australia Deluxe Accommodation 2010. Located just 4km's from the airport you can arrange complimentary pre-booked airport transfers - 48 hours notice is required. Driving into Kununurra, turn down Messmate Way turning off the Victoria Highway, going past the 24hr BP service station, straight through the roundabout and you will then see the entrance to the the Kununurra Country Club Resort. King Rooms are open plan with a private ensuite and include the best of Resort style features. 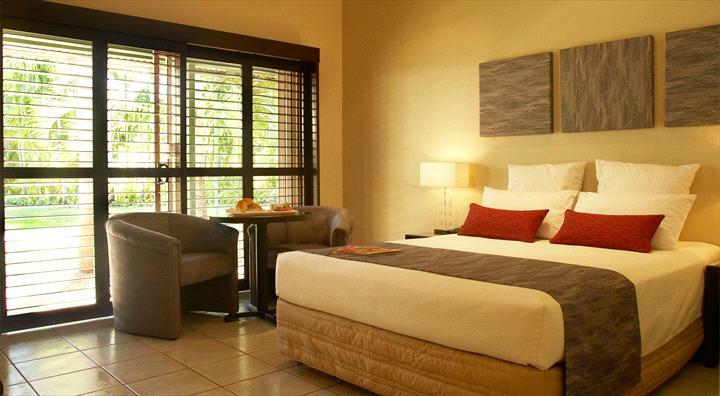 Enjoy the comfort of a modern room set among the Resorts tropical gardens. Room configuration - 1 x King bed only. Cot is available - request prior to arrival required. Ground floor and first floor rooms available. Queen Rooms are open plan with a private ensuite and include the best of Resort style features. Room configuration - 1x Queen bed. Please note these are First Floor rooms only. Triple Rooms are open plan with a private ensuite and include the best of Resort style features. Room configuration - 1 x King bed and 1 x Single bed OR 3 x Single beds. Club Rooms are open plan with a private ensuite and include the best of Resort style features. Room configuration - 1 x King bed and 1 x Single bed. A Cancellation fee of one nights accommodation will be charged if less than seven (7) days notice is received. 50% of one nights accommodation will be charged if less than fourteen (14) days notice is received.